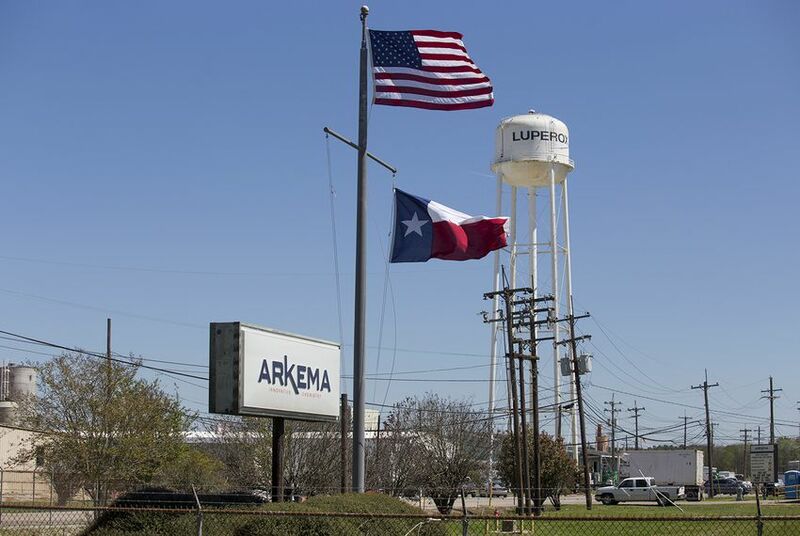 Two counties, dozens of first responders and hundreds of neighbors claim in court documents that the Arkema chemical manufacturing plans committed negligence. Environmental advocates say lax industry regulations exacerbated the disaster. CROSBY — Most of the houses along Crosby Eastgate Road and its neighboring streets are one-story outfits on sprawling green lots. In their driveways are spare trucks, old armchairs or small motorboats; grazing their grass are horses and cows. Some houses are raised on stilts; others look abandoned. And many of them belong to plaintiffs suing their neighbor on Crosby Eastgate: an Arkema Inc. chemical manufacturing plant. It’s hard, on a sunny March morning seven months removed from the storm that devastated this community, to picture the floods. On dry days, the brown water in the roadside drainage ditches sits relatively low. But in August, when Hurricane Harvey dropped 50 inches of rain on the Houston area, it surged up into the street, nearly swamping the head-high wire fence lining the road. On the east side of that fence, the floods submerged much of the chemical manufacturing plant. It was seven feet of that water, swampy and brown and by some accounts carrying an oily chemical sheen, that caused the plant’s refrigerated containers to fail; it was the resulting high temperature that caused the chemicals to degrade; and it was those hot chemicals that ruptured their containers and caused a series of chemical fires over most of the following week. Those chemicals, the Crosby plaintiffs say in their lawsuits, contaminated the surrounding community’s air and water, causing the respiratory problems, pneumonia, headaches, nausea and dizziness that still plague some neighbors and first responders. And that, plaintiffs say, was because the plant had failed to take proper precautions for a severe storm — and because industry regulators let them get away with it. Officials from the U.S. Environmental Protection Agency and Arkema assured residents at the time that the air and water were not dangerous. The EPA said in early September that the samples it collected did not exceed Texas limits. Nevertheless, the sick plaintiffs blame Arkema, and are seeking millions in damages. Neighbors are suing for personal injury; homeowners are suing over contamination in their neighborhood; two counties, Harris and Liberty, are suing as well. Some of the first responders who were dispatched to the site when the chemicals began to burn have also signed onto lawsuits. Still, some environmental advocates argue that what should truly be on trial is the state’s — and nation’s — lax chemical regulations. He has never been able to describe the smell exactly. 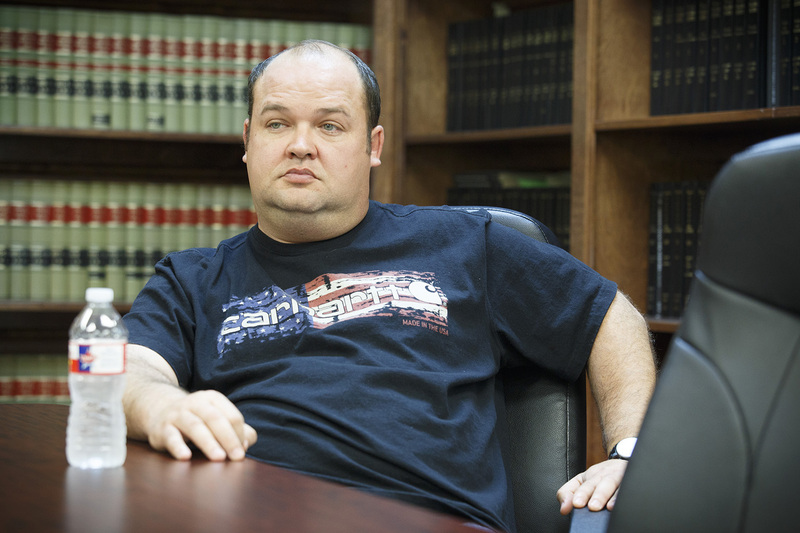 The Harris County Sheriff’s Office deputy, who asked to remain anonymous out of fear of retaliation from his department, is reminded of it when he smells diesel fuel. Sometimes the headache even comes back. But it wasn’t quite diesel. When his unit was dispatched for a 12-hour shift outside the Arkema plant on the evening of Aug. 30, they were told the degrading chemicals would soon explode, he said. Working the perimeter of the 1.5-mile evacuation zone in the dark, he couldn’t see the hundred-foot high plume of black smoke that would soon be shown in the pages of newspapers across the state. But he could smell it. He said he heard an explosion that sounded like a series of pops. Then came that unnamable smell. Then the headache — it came on “like a lightswitch,” he said. “Not just a nagging headache — a headache,” he said. It would stay with him for months, he said. First responders briefly left the area, then were directed back to it, “grumbling,” he recalled. They gathered at the intersection of Lindstrom Road and Highway 90, about two miles from the site. In the midst of those symptoms, the officer remembers the confusion. Companies like Arkema have to file certain hazard documents with local emergency planning committees, though it’s not clear how that information is then disseminated to first responders. And those documents, lawyers and advocates say, don’t offer enough information to adequately plan for an event like this type of chemical plant disaster. Arkema didn’t lay out plans for the Aug. 31 scenario because it wasn’t required to. Even internal documents gave employees minimal instruction — just one paragraph — for handling major floods, and there were no plans for floods exceeding three feet, the Houston Chronicle reported. Though they are public records under state law, plants’ chemical hazard documents are difficult to access, and became more so after then-Attorney General Greg Abbott threw up a roadblock in 2014. Citing the need to keep sensitive information hidden because of “ongoing terroristic activity,” Abbott ruled that the state no longer had to release plants’ chemical inventories, saying the companies themselves would. But not all companies do, and it’s not clear that any state agency forces them to. Federally-mandated risk management plans can be viewed by appointment only in one of the state’s handful of federal reading rooms. And even if neighbors can track them down, the records contain relatively little practical information, lawyers and advocates said. Arkema held emergency preparedness training sessions for its site with local responders, though neither the company nor the Crosby Volunteer Fire Department nor the Harris County Sheriff’s Office would say how often those took place or what they included. The Harris County Fire Marshal’s Office, which was involved in emergency response that night, deferred questions to Rock Owens, a Harris County environmental attorney representing the county against Arkema. In the hours before they were sent to the site, first responders were briefed by the Harris County Fire Marshal’s Office, Owens said. But the deputy said he was not told what to expect, just told to guard the perimeter of the 1.5-mile evacuation zone. The briefing did not include specific details like chemical names, Owens said, but first responders were advised to stay out of the 1.5-mile zone and avoid the smoke cloud. That advice, the sheriff’s deputy said, was insufficient. “We were told a mile and a half was safe, but obviously it wasn’t,” he said. It would have been difficult for any briefing that did take place to address the particular scenario that played out, because it wasn’t one Arkema had planned for in public documents. Local officials at the time didn’t know what was in the air, and no Arkema employees were on site during the fires to tell them. Even though Arkema didn’t have a plan for a Harvey-level flood, it did have a boat on site that some employees used to evacuate. An Arkema spokeswoman said employees were required to evacuate. 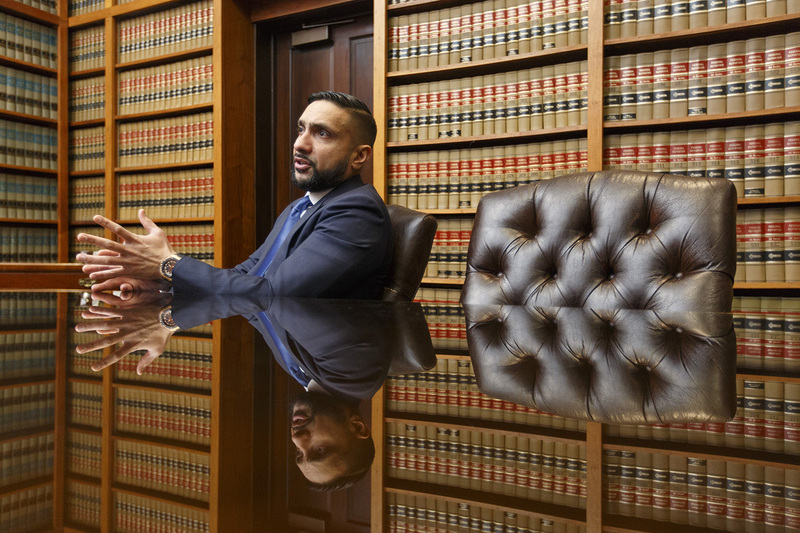 Months later, dozens of plaintiffs are still receiving medical treatment and their doctors are still trying to determine what they inhaled that night, Aziz said. Part of the problem is that chemical safety reporting requirements are flawed, environmental advocates said. One of the documents that companies like Arkema must submit, a federally-mandated risk management plan, must include worst-case scenarios, but only those that would result from a certain list of toxic chemicals. Industry lobbyists, advocates said, work to keep other dangerous materials off that list. 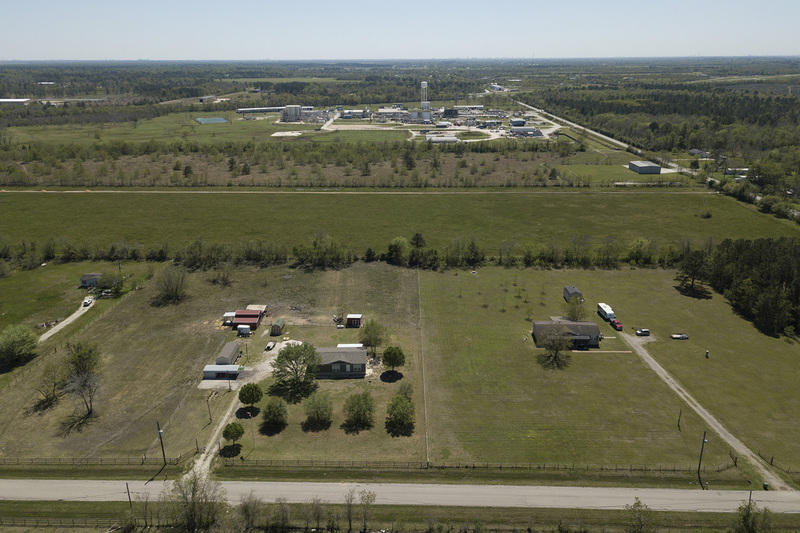 Arkema’s risk management plan, as required, laid out worst-case scenarios that could have resulted from the isobutylene and sulfur dioxide stored on site. But it didn’t mention a scenario like the one that happened in the early hours of Aug. 31, when the plant’s organic peroxides degraded and ruptured their holding containers. Those chemicals — which are not on the risk management plan list — all combined, Aziz said, and Arkema never planned for that mixture. The EPA doesn’t require that companies lay out the potential mixes that could result from chemicals that aren’t on the limited risk management plan list. But the lawyers suing Arkema, as well as environmental advocates, say the company should have prepared for that eventuality. Environmental advocates said dangerous chemical releases in Texas are largely a failure of enforcement. “No one’s reviewing the risk management plans for adequacy,” said Elena Craft, a senior scientist at the Environmental Defense Fund. (The EPA did not return several requests for comment). It’s “nonsense,” she said, that Arkema’s plant identifies flooding as a concern, but doesn’t take sufficient steps to prepare for it. “The only way, in my mind, that that type of thing can be corrected is with some sort of oversight coming in and saying, ‘Does this pass the due diligence test? Does this make sense as a plan?' If it doesn’t, then they need to correct it,” Craft said. Arkema has argued that the situation wasn’t foreseeable. Hurricane Harvey, company officials said at the time, brought an “unprecedented” amount of water. For many who live in the area, that argument is unconvincing. The Arkema plant sits in a floodplain. The Chemical Disaster Rule, as it has come to be known, was finalized in the waning weeks of Barack Obama’s presidency, and published just days before he left office. Largely a response to the West explosion, the rule aimed to improve chemical safety practices and prevent similar tragedies. Perhaps most relevant to the Arkema disaster, it would have made it easier for the public to access hazard-planning documents. And it would have required increased coordination with first responders, including by requiring companies to provide increased emergency planning information to local officials and to hold more frequent meetings and trainings. The rule was set to take effect March 14, 2017 — less than six months before Harvey struck Texas — although companies would have had at least a year to comply with the major changes. Then Scott Pruitt, Trump’s EPA administrator, delayed it on March 13, first for just a few weeks and then, in June, for almost two years. The rule had long faced opposition, including from Arkema and the state of Texas. Industry groups argued it would add new costs and jeopardize safety. “We have significant concerns with providing security-sensitive information where disclosure of such information could create a risk to our sites and to the communities surrounding them,” Arkema told the EPA in May 2016. The EPA said at the time that delaying the new rule had “no effect” on the major safety requirements in place when Harvey struck. But Mathy Stanislaus, a former EPA assistant administrator who worked on the rule during the Obama administration, said last year that while the new rule would likely not have prevented the incident, it could have greatly reduced the risk to first responders. Environmental advocates said that though compliance dates were long in the future, the new rule would have forced chemical plants to at least begin planning for the tightened regulations. “When correctly implemented and enforced, the current RMP regulations are highly effective in minimizing the risk of accidental chemical releases,” the ACC said. But the current EPA regulations hadn’t prevented a long list of other issues at the Arkema plant. In 1994, a five-year-old girl was severely burned during a sulfuric acid release at the plant, the Chronicle reported. A 1999 explosion at the plant was attributed to organic peroxides, the same group of chemicals that burned in 2017. 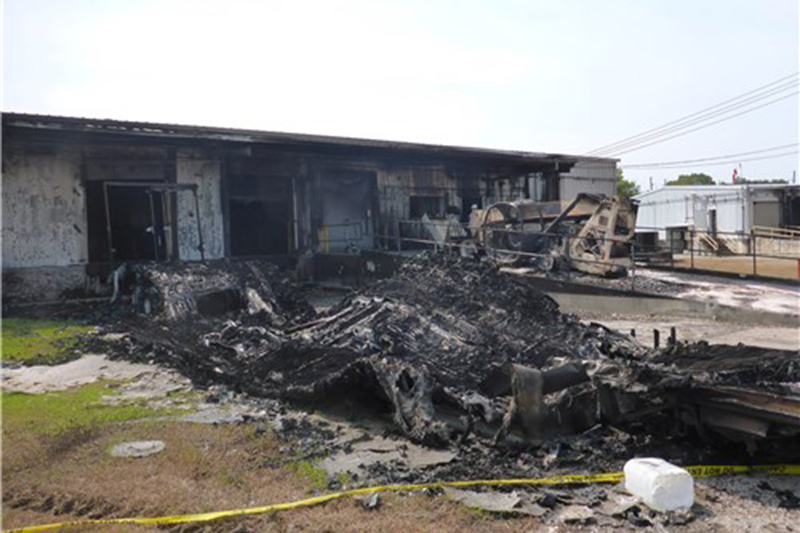 In 2006, the facility was cited for a fire resulting from improperly stored organic peroxides. In 2011, it failed to maintain proper temperatures of its thermal oxidizer, a machine generally used to break down volatile compounds. 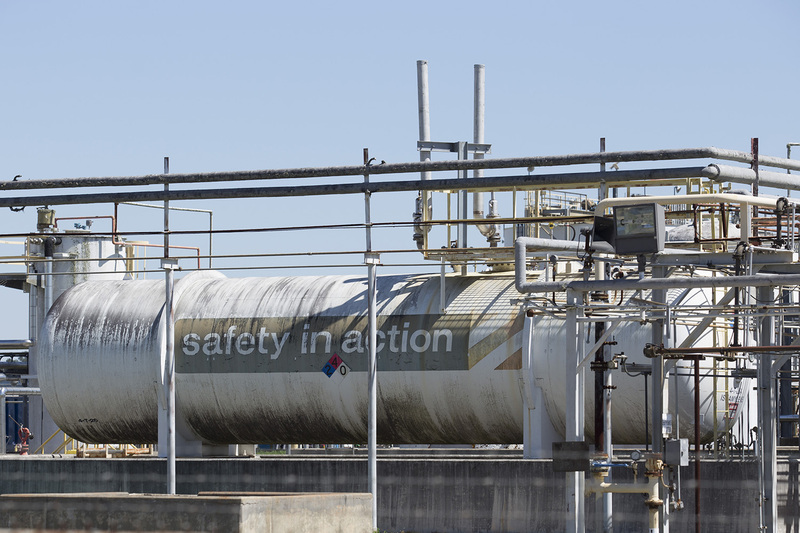 As recently as 2016, the Occupational Safety and Health Administration cited the Crosby plant for several safety violations; Arkema paid nearly $92,000 to settle up. The recent lawsuits against Arkema are all likely to take years. The only one of Aziz’s cases that has been set for trial is scheduled for January 2020. As they wait, the plaintiffs are left to wonder how exactly they’ve been damaged. “I don’t know what was out there. I know whatever it was hit me quick,” said Shane Doby, a 40-year-old plaintiff who lives outside the 1.5 mile zone around the Arkema plant. Sitting at his lawyer’s long conference room table, Doby explained that he was exposed to the chemical smell while driving to work at a different chemical plant one morning on a route that kept him well outside the evacuation zone. Hurricane season is over, and the skies above the Arkema plant have cleared. An undamaged tank on the plant’s north side that reads “safety in action,” covered in murky water during the storm, is now exposed to the sun. The facility hasn’t been operational since before Harvey hit, and its electric power returned just this month.